Los Temerarios' bubblegum ranchera was the romantic soundtrack of millions of Mexican and Mexican-American youths' lives during the '90s. Combining elements of traditional Mexican ranchera music with keyboards, electric bass, and stately percussion, they created a sound whose appeal frequently took them to the top tier of Billboard's Latin charts. Brothers Adolfo (b. 1963) and Gustavo Ángel Alba (b. 1968), from Fresnillo, Zacatecas, Mexico, were first exposed to the music business in the late '70s when their father rented a room in their house to local groups needing a place to rehearse. When the musicians left, the brothers would sneak in and practice tunes. They formed la Brisa in 1977, playing parties and weddings. They landed a record contract on CBS Mexico in 1983 and adopted their current moniker. Their early output comprised organ-driven ballads, rancheras, good-time cumbias, and even corridos. Local songwriter Samuel Guzman, who more recently has penned hits for los Rehenes, wrote some of their early songs. However, los Temerarios failed to have a major impact until the Monterrey-based indie Disa signed them in the late '80s. By then, Gustavo's voice had developed into a sugary cross between Art Garfunkel and George Michael, and Adolfo's songwriting skills were advancing. Sentimental ballads "Tu Infame Engaño" ("Your Infamous Deception"), "Ven Porque Te Necesito" ("Come, I Need You"), and "Sí Quiero Volver" ("Yes I Want to Come Back") solidified their reputation for dramatic melodies and pleading, if naïve, lyrics. By 1991, the group consisted of Adolfo on keyboards, Gustavo on guitar, cousin Fernando Angel on bass, Mario Ortiz on drums, and Carlos Abrego on percussion. Along with Fernando, the brothers formed Ángel Records in San Antonio in 1990 and released Lo Nuevo...y lo Mejor ("The New and the Best) the same year. This move caused legal difficulties with Disa, who claimed they still owed the company an album. The group continued releasing its U.S. material on Ángel (later renamed AFG Sigma, the initials for Adolfo, Fernando, and Gustavo) but remained on Disa in Mexico until 1994. The significance of los Temerarios' venture into the business side of music cannot be understated. While Mexico-based labels specializing in onda grupera enjoyed rough parity, FonoVisa was the juggernaut in the United States. It was nearly impossible for acts on other labels to make Billboard's Latin singles chart. The fact that los Temerarios were racking up impressive chart numbers on their own label made them the most obvious chink in FonoVisa's armor. AFG Sigma bolstered its status as a real alternative when Temerarios protégé Zeus made the album charts in 1992, and the label picked up veteran groups Mister Chivo from FonoVisa and Conjunto Primavera from Joey. But Zeus split up in 1993, and the label found itself with more bands than it could promote. By 1996, not even los Temerarios' singles were charting well. Former adversary FonoVisa made a generous offer to buy the company, and before the year was out, the deal was done. But of the dozens of acts signed to AFG Sigma, only los Temerarios and Conjunto Primavera got past FonoVisa's velvet rope, leaving the rest of the roster to find another deal. FonoVisa dramatically illustrated its way with radio when the fourth single from Camino del Amor ("Path of Love"), "Cuando Fuiste Mía" ("When You Were Mine") charted higher than the first, second, and third singles, which had been released on AFG Sigma. Ironically, by then, Disa, EMI Latin, and PolyGram Latino had made inroads on FonoVisa's supremacy in the U.S. market. The 1991 release Mi Vida Eres Tú ("My Life Is You") propelled the group to superstardom. The unique sound of the title track, which backed mariachi instrumentation with electric bass and a dramatic crash on each bar's second beat, became a standard and spawned legions of imitators. Though four singles were released from the album, the material was so consistently strong that radio often played album tracks. 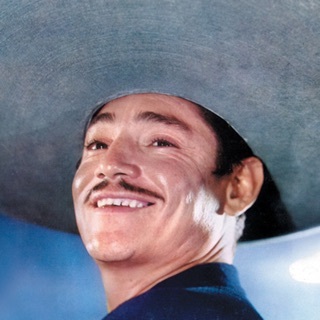 Critics considered the lyrics banal, but young fans identified with the themes of romantic loss and heartbreak, influenced by the songwriting of Juan Gabriel and José Alfredo Jimenez. Fans also appreciated the group's jacket-and-tie dress code, which set it apart from polyester-clad contemporaries and soon inspired a host of imitators. The group added a calliope-like keyboard sound to its 1993 release Tu Última Cancion ("Your Last Song"), and the soft rocker "Una Tarde Fue" ("It Was an Afternoon") featured steel guitar. Camino del Amor, from 1995, continued in the same vein, as the group straddled the line between pop balladry where it cited Kenny G and Neil Diamond as influences, and the mariachi-influenced style first heard on Mi Vida Eres Tú. Gustavo tried out a ranchera-influenced vibrato vocal on "Por Qué Te Conocí" ("Why Did I Get to Know You"), the first single from the 1998 album Cómo Te Recuerdo ("How I Remember You") and the group's second number one on Billboard's Hot Latin Tracks in the span of a year. The album offered no surprises.